Today, if you voted, you could get a free cone at Ben & Jerry’s, a coffee at Starbuck’s. 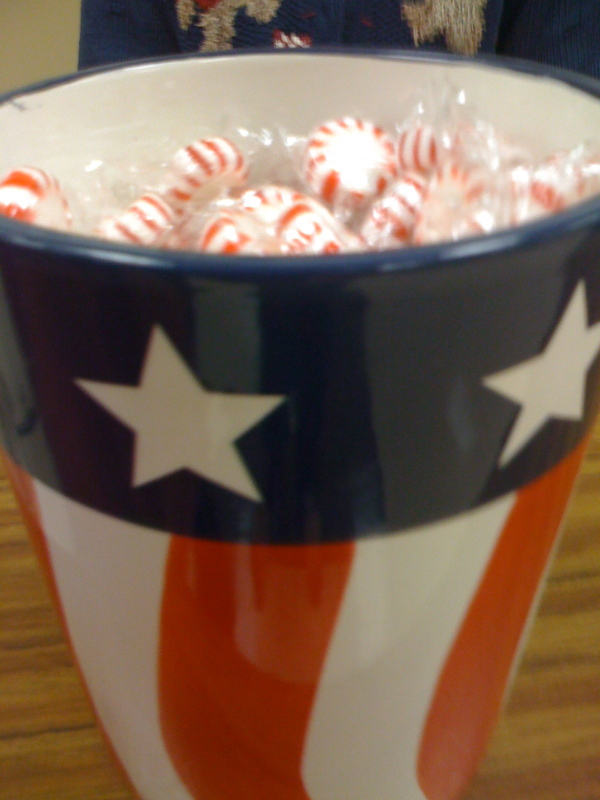 a free donut at Krispy Kreme, and, at our polling place, a nice starlight mint. < Who’s been sleeping in my bed?